red and black stones. There are many buses that run from Margao to Cabo De Rama (which is situated nearby) that stop at Canaguinim. 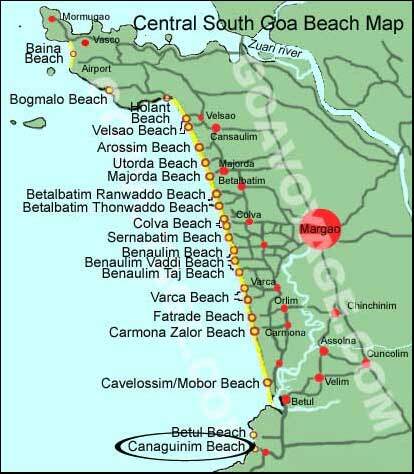 Canaguinim beach is the last beach on the south of Central South Goa, as you can see on the map below. 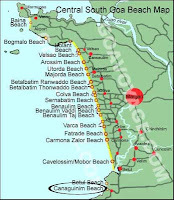 Actually we should say Canaguinim beaches, because there are 2 beaches in Canaguinim: one 300 meters long, and a tiny creek.First, let's have a look at the map showing the location of Canaguinim beach.